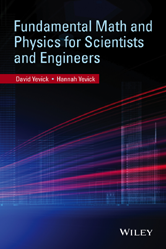 This text summarizes the core undergraduate physics curriculum together with the mathematics frequently encountered in engineering and physics calculations. The text focuses exclusively on core material relevant to practical problem solving, such as algebra, geometry, exponential, logarithmic functions and trigonometry. The book also examines particle mechanics, fluid mechanics, special relativity and electromagnetism. This book presents fundamental formulas and derivations and provides simple, coherent explanations of underlying concepts.